I am me, the way I am.. I want to be the way I am, fearless of anything, enjoy going anywhere, meet any people i like to meet. Sometimes, i can just choose to have my lunch just in a local street food-seller to enjoy a simple Instant noodle, or just having a closely warmth dialogue with the nannies who always be in a kind of cemetery who always waiting for me, just like as seen as in the picture. 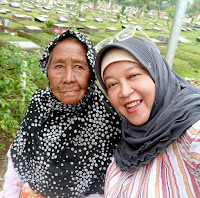 Her Name is "Mak Siwo", the nanny who is widowed already, and i know her long time ago since i was a girl. She already there to maintain my Brother's grave, until my Dad's burred down there, and then followed my Mom.She loves me, as far as i know. and loyal to wait for my coming. 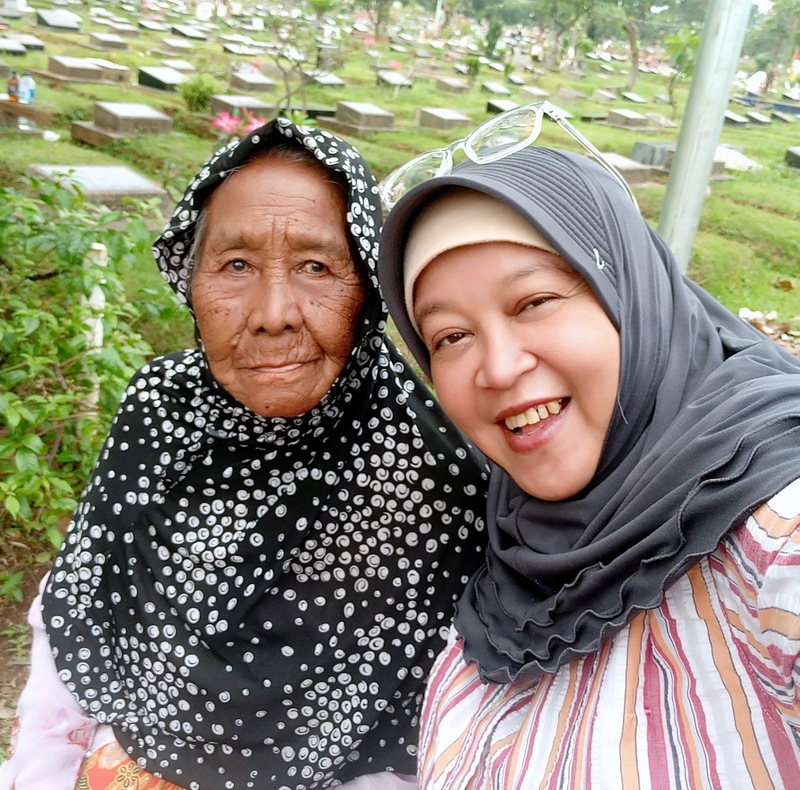 I love to see her smile, every time we met, then I choose to sit besides her and start to hear her story about the situation she face in life and her daily activities. She often prays for me, and so do i. Hope we'll meet again very soon and see her always be healthy.